PC: When did 3 Ring Rodeo begin there music career? 3RR: We’ve all been in the music business for years. Chad started in his late teens playing in a Branson, MO show band. Donny actually started on guitar in a metal band and switched to drums later. I started in my family’s band when I was 12. We’ve all done the “sidemen to major artists” thing for a lot of years and decided it was time to start our own band a couple of years ago so we could play the music we wanted to play. PC: Who are 3 Ring Rodeo main musical influences? PC: Let people know how many people are in the band and who you are. 3RR: As far as the core of the band, Chad Bilbrey is the bassist and primary vocalist, Donny Tomlinson is our drummer and I play guitar and sing. We usually have another guitarist at shows, and sometimes a steel player, too. PC: Where can someone get copy of 3 Ring Rodeo CD "Don't Send The Invitation If You Don't Want To Party"? 3RR: Currently you can get our cd via the internet on www.cdtex.com or at our shows. We’re working on a distribution deal right now, so look to see the cd in stores pretty soon. PC: (Texas music artists are like one big family, everyone helps each other out) is this true? 3RR: Yes and no. Musicians as a group tend to hang out together and help each other out. A lot of Texas artists are based out of Austin, they play a lot of gigs locally, and run into each other quite often. To a lesser extent, those of us from the DFW area do the same. It’s not an us vs. them thing, it’s more that we just don’t run into each other as often. The odds of a band based out of Amarillo and one from San Antonio crossing paths regularly are kinda slim. I think most musicians are comrades in arms no matter where we hail from, not just here in Texas. 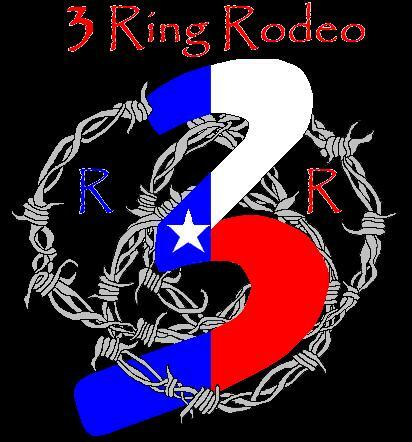 PC: Is there anybody that 3 Ring Rodeo would like to perform with or do a duet with? 3RR: Our first cd features a duet with Tommy Alverson. At the time we recorded it his son Justin was playing guitar with us and he asked Tommy to come in a sing. As to the future, there are so many artists out there who we admire that we could probably do 10 albums worth of duets and still not get to work with everyone we’d like to. PC: Where does 3 Ring Rodeo want to be in the next few years with there music career? Any long term goals? PC: What are your fondest career memorys so far? 3RR: Playing our first big show as a band last fall was a blast. We’ve all done big concerts a lot in the past, but when it’s your own music it’s a different deal. There’s a lot more pride involved. Quite truthfully this whole roller coaster ride has been a blast so far. PC: Where do you see the future of Texas Music going? 3RR: Experts say nowhere but up. Seriously, Texas Music has been going strong for decades, before Pat Green, before Waylon and Willie, even before Bob Wills, and I doubt that’s going to change. It seems to be particularly popular at the moment, and quite innovative, too. PC: In your CD player right now, what CD would be found? In late 2002, despite extensive experience performing with regional and national touring acts, the founding members of 3 Ring Rodeo (Chad Bilbrey, Donny Tomlinson and Sheldon Packwood) still felt somewhat unfulfilled in their artistic endeavors. The money and glamour of playing prestigious venues with well known acts seemed to lose some of it's luster as they toiled in the thankless task of being sidemen to "artists". One evening fate put their various groups in the same venue, and over a couple of cold beers the groundwork was laid for a project in which they would all be partners working toward a mutual artistic goal. All hailing from the Greater Fort Worth area, they were well aware of the homegrown Texas music scene. The idea of being able to perform their own songs on their own terms to an appreciative audience appealed to them, and 3 Ring Rodeo was born. With a songlist that includes popular Texas music, traditional country and rock, and a strong catalogue of original material, the group is winning friends and fans right out of the gate. The first single release, "I Don't Drink About You Anymore" from their current c.d. "Don't Send The Invitation If You Don't Want To Party" on BB3 Records is already recieving rave reviews and has charted overseas.